This is Colonel Meow. 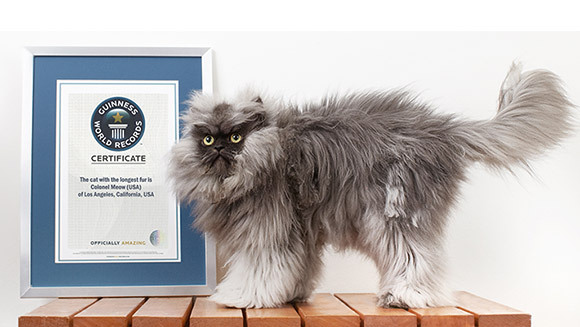 He’s just made it into the Guinness Book of World Records for being that cat with the longest fur. What an accomplishment! I have long hair too. The plumber found a huge ball of it clogging our pipes yesterday. But nobody ever puts me in books of world records. Read about him at the Guinness site.